"I played a 1932 Gibson rb 11 for years, but I always said if I found a better banjo I would buy it. The Kel Kroydon fits the bill -- definitely one of the finest banjos I have ever played!" Jim Lloyd's musical roots go back at least 4 generations of musicians, dancers, and storytellers from the Appalachian Mountains of Virginia and West Virginia. Raised in the coal fields of the mountains, Jim settled in Rural Retreat, Virginia, where he opened a barber shop. Here he welcomes all pickers to come in and jam between hair cuts. Jim is an award winning musician who was documented by the Smithsonian Institute as a representative of Appalachian Culture and was nominated for the National Heritage Fellowship Award. He excels on banjo in claw hammer, two-, and three-finger styles. His influences include Will Keys, Wade Ward, Uncle Dave Macon, Sam Mcgee, and his grandfather Arthur Lloyd. Over the years Jim has played with numerous bands and excellent musicians, including Will Keys, Jim Costa, Wayne Henderson, Elizibeth LaPrelle, The Konnarock Critters, Speedy Toliver, Kirk Sutphin, The Skyliners, Mountain Fling, and Benton Flippen. Stan Brown playing his Mahogany Kel Kroydon New Generation Banjo with Wreath design inlays. Stan Brown has been playing banjo for 40 years after an early start on guitar. Within a month of playing he got his first Mastertone Style banjo. Stan was recognized as a top banjo player as a youth, winning numerous competitions in North Carolina. He is known for his tasteful playing with one of the best backup sounds in the business. In 1977 Stan joined Wilma Lee Cooper's Clinch Mountain Clan and moved to Nashville. He played 4 years for Wilma Lee Cooper and recorded two albums on the Rounder label. In the early 80's Stan played for Bill Monroe on the Grand Ole Opry recording two television shows. He has also played with Roland White & The New Kentucky Colonels, Skeeter Davis, and a list of other Nashville stars. In 1997 Stan returned to North Carolina. Since then, he has appeared on Garrison Keeler's Prairie Home Companion from New York's Town Hall. He also played banjo with the North Carolina based The Bluegrass Experience, which traveled to perform at the 16th Annual Bluegrass Music Festival in Omah, Northern Ireland. Stan is currently playing with The Outliers. The sound file of Reuben below was recorded by Stan on a 1988 Gibson prototype RB-3 with a Dannick Tone Ring. The Desperate Preacher is played on a 1934 Gibson RB-2 with a Dannick Tone Ring. A native of Bainbridge Island, Washington, Wes Corbett began classical piano at the age of four but was converted to the banjo during high school, studying with Dave Keenan, Bill Evans, and Dennis Caplinger. For the past four years Wes has been composing and arranging original music for banjo and hammered dulcimer with Simon Chrisman, also a native of Bainbridge. They recorded an album with guitarist Jordan Tice, which was released on Patuxent in 2007 and was in the Chicago Tribune's list of the top five acoustic records of 2008. In the past several years Wes has appeared with numerous musicians and bands, including the David Grisman Quintet, the Mike Marshall and Darol Anger duo, Matt Glaser, and Crooked Still. Since relocating to Jamaica Plain, Massachusetts in the fall of 2006, he has opened for Tony Rice with Lincoln Meyers and String Alliance, and toured internationally with the Biscuit Burners. Wes is currently touring with Boston based string band Joy Kills Sorrow and The Bee Eaters. Joy Kills Sorrow's newest record will be available February 2010 on Signature Sounds. For more information please visit the websites for The Bee Eaters and for Joy Kills Sorrow. 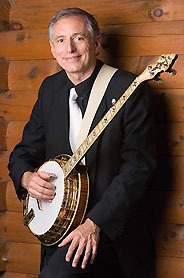 San Francisco Bay Area musician and Virginia native Bill Evans has been involved with bluegrass music and the banjo for over twenty-five years as a player, teacher, writer and historian. His latest accomplishment is authoring Banjo for Dummies for Wiley Publications. Since its release in August 2007, Banjo For Dummies has become the largest selling banjo book in the world. Bill currently performs and tours with six-time National fiddle champion Megan Lynch. He also appears with renowned bluegrass and old time musician Jody Stecher in a unique all-banjo show called The Secret Life of Banjos. In addition, Bill is involved with two outstanding California-based bands: Bill Evans String Summit, an ensemble dedicated to the performance of Bill's original instrumental tunes. In addition, Bill performs from time to time with the Bluegrass Intentions. "I love the classic tone of a maple and gold banjo. My new Bill Evans signature Kel Kroydon banjo comes as close as anything I've heard to capturing THE sound. 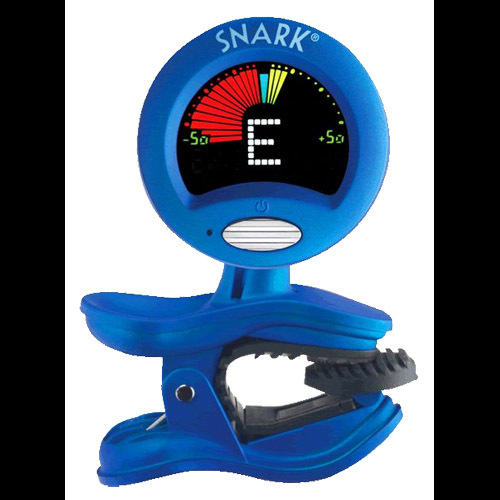 It's also extremely playable - it works for both hard driving traditional bluegrass and contemporary styles. This is something that's extremely rare in any instrument, new or old. It's what I've been waiting for all my life!" Read more about the Bill Evans Signature Banjo, view some beautiful photos, and listen to sound clips of his new banjo, and read more about his life and accomplishments. Casey Henry grew up surrounded by bluegrass music. Her parents, Red and Murphy Henry, had a band that played throughout the Southeastern US in the late 1970s and early 1980s. Throughout high school and college Casey played bass with what was now the family band, including her brother Chris on guitar and mandolin. She played banjo with other local bands. 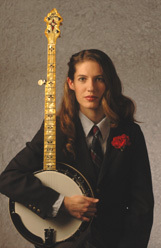 Upon graduating from the University of Virginia in May 2000 with a BA in English and Women's Studies, Casey put out her first banjo CD, Real Women Drive Trucks, which was greeted with much critical acclaim. Since relocating to Nashville, Tennessee in early 2001, Casey has played with Uncle Earl, the Jim Hurst Band, June Carter Cash, Tennessee Heartstrings, and her own band, Casey and Chris and the Two-Stringers, who released one CD in 2006 titled Get Along Girl. For years Casey has worked as a freelance writer (don't want to let that college education go to waste!) for various publications including Bluegrass Unlimited and Bluegrass Now. In December 2006 she took over her mother's monthly column in Banjo Newsletter magazine. She freelances on banjo and gives banjo lessons in Nashville. Casey's current band is the Dixie Bee-Liners. Visit her blog at http://blog.murphymethod.com/ and her website at http://www.caseyhenry.net/. Casey is excited to be an endorser for Kel Kroyden banjos. For years she has played her own 1939 Gibson TB-11 and she is pleased that she can now offer a signature model so close to her trusty 11. Read more about the Casey Henry Signature Banjo. Charlie Cushman is based in Nashville, Tennessee and runs a Banjo Set-Up business when he is not on tour with Vince Gill. Charlie's obsession with the banjo started as early as the age of four and it was his grandfather who bought the first banjo for Charlie. At age 14 Charlie's playing abilities won him a regular spot on The Carl Tipton Show, broadcast on WLAC-TV in Nashville. Charlie became part of the accompanying unit for whatever guests were scheduled, a list that included the regal bluegrass presence of mandolinist Bill Monroe as well as the sculptured voice of Tennessee Ernie Ford. Not every guest wanted or needed banjo, so Charlie also learned both Guitar and Upright Bass. Charlie has played with groups such as James Monroe & the Midnight Ramblers, Jimmy Martin & the Sunny Mountain Boys, and Mel Tillis & the Statesiders. His discography of recording sessions includes backup on an Andy Griffith project from 1986 to mid-1990. Charlie was part of the Opryland USA house band, featured on all of his instruments. One of his frequent playing partners is banjoist Mike Snider. Charlie and Mike worked together not only on The Grand Ole Opry but in the Mike Snider String Band. Charlie has participated in nearly all of the Pickin' On series of compilations in which bluegrass artists take on the rock and pop repertoire of Jimi Hendrix & Bruce Springsteen and others. After many years of playing the banjo Charlie has become one of today's best Banjo pickers in the country. Charlie's first individual CD Five String Time is now available. Charlie is now working with the American Made Banjo Co. and Robin Smith. Charlie has created what he calls "A Great Banjo", using hand picked woods along with the impeccable craftsmanship of Robin Smith. Read more about the Charlie Cushman Signature Banjo, and view beautiful closeup photography of his instrument. "I love the Dannick tone ring. It has the power and tone that I look for when playing on stage. It has served me well and I would recommend anyone who is thinking about tone rings to give this one a try. It is simply one of the best new rings on the market today!" Aaron McDaris was born in 1975, and raised in a small town in rural Missouri. Starting at an early age of 11 years old, Aaron learned how to play many instruments, but it was the banjo that he stuck to and fell in love with. After many trips to bluegrass festivals and listening to local banjo players, and spending hours after school practicing the banjo, his love for the banjo and bluegrass music sent him searching for a band to tour with. In 1997, a local band that Aaron toured with named Second Exit became SPBGMA's international band champions. This exposure allowed him his first opportunity to get an audition with a national band, the New Tradition. He landed the job with them and has since been touring the circuit now for about ten years. From the New Tradition he moved on to the Larry Stephenson Band, and now is currently with the multi-award winning band the Grascals. Aaron plays a 1935 TB-3, which was converted to a flathead, using the Dannick Tone Ring. Aaron is currently playing his banjo with Rhonda Vincent. "Rich Stillman has been and continues to be instrumental in ensuring that the original look of the Kel Kroydon is perfect. In addition, his experience in getting the right sound has made the Kel Kroydon banjo a real Cannon. I would like to thank Rich for the countless hours he has spent helping me develop this banjo and making it a reality." "Tom worked with me on getting just the sound I wanted to hear from a banjo. I played my Gibson Granada for 18 years, but it went in the closet after I played my new KK-11 for ten minutes. It's still there. Tom keeps finding ways to improve the banjo while staying with the tradition. I can't wait to see what he comes up with next!" 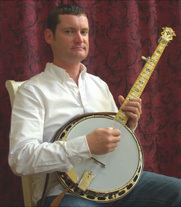 Richard Stillman has been playing bluegrass banjo for over thirty years. He has founded or been involved in a number of influential Northeast bluegrass bands, including the Jersey Travelers (1979-1984), WayStation (1992-2000), The Bogus Family (1995-2001) and his current bands, Adam Dewey and Crazy Creek (1995-97 and 2002-present) and Southern Rail (1985-1989 and 2005- present). He has additional studio recording credits with other New England folk and rock artists. Mr. Stillman was New Jersey banjo champion in 1983 and the 2002 and 2003 New England banjo champion. He is a six-time winner of the annual banjo contest held at Lowell, Massachusetts (1985-1995), where he has given the bluegrass banjo workshop every year since 1996. Waystation, a band he founded, was a member of the Massachusetts Arts Council Touring Roster and winner of the 1994 Northeast Regional championship of the Pizza Hut International Bluegrass Showdown. Mr. Stillman has performed with bluegrass bands on stages including the Grey Fox Bluegrass Festival, the Thomas Point Beach bluegrass festival and Boston's First Night. 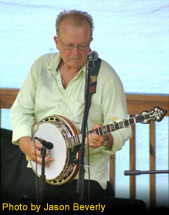 Mr. Stillman has been a regular on the faculty of Banjo Camp North in Groton, Massachusetts for three years. 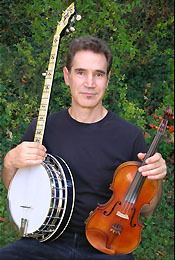 He has taught workshops and beginning and intermediate bluegrass banjo classes for the Boston Bluegrass Union, teaches banjo as an adjunct faculty member at Phillips Academy in Andover, MA, and has many years of experience teaching private students. He is writing a banjo instruction book, tentatively titled "Bluegrass Banjo from All Sides," for Mel Bay publications. These videos of Rich Stillman are available on YouTube. The sound file below was recorded on a Zoom Handy H4, internal mics, with no EQ. A piano player since age 5, Charles Wood switched his focus to the banjo after listening to Flatt & Scruggs and receiving a banjo for his 15th birthday. Currently Charles Wood performs with several bands, including Curtis Blackwell and the Dixie Bluegrass Boys, The Wild Hog Band, The Lonesome Road Band, and Doug McCormack and Southern State of Mind. Recent venues include a two week tour in Austria with the Lonesome Road Band along with numerous festival performances. 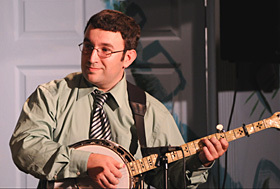 Charles was invited by actor Steve Martin, an accomplished banjo player himself, to perform with Earl Scruggs, Pete Wernick and Tony Ellis at the 2005 New Yorker Festival. Charles also performed on The Late Show with David Letterman take a look at the video on YouTube!). 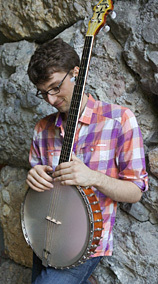 Charles' favorite banjo is the Maple Kel Kroydon Style 11 with a radius fingerboard and the Dannick Tone Ring. Charles is also an experienced private lesson teacher, maintaining 30 students at all times. Learn more about Charles at his website. "I played one of the new Kel Kroydon banjos at Elderly Instruments last summer, and was impressed enough to order one." Brad Leftwich's music is a direct link to the traditions of the southern Appalachian and Ozark regions. He grew up hearing the old-time music of his father, grandfather, and great-uncle, and learned from many of the last great traditional musicians from the turn of the 20th century. A noted fiddler, banjo player, and singer, Brad has been performing for some 30 years, both solo and in bands including Plank Road, Leftwich & Higginbotham, the Humdingers, and Tom, Brad & Alice. Recordings of his music appear on the County, Copper Creek, Rounder, Chubby Dragon, and Marimac labels, and he has published instructional materials with Homespun Tapes and Mel Bay Publications - in fact, he counts the late country music star Buck Owens among the enthusiastic students of his instructional videos. Brad has won the fiddle contest at the prestigious Appalachian String Band Music Festival in Clifftop, West Virginia, and his music has been acclaimed by critics in magazines as diverse as Billboard and Bluegrass Unlimited. He tours internationally, and has performed at venues from the White House to the Philadelphia Folk Festival. Learn more about Brad at his website. The sound files below were recorded by Brad Leftwich playing his stock Kel Kroydon KK46-11 banjo. Satoshi Yoshida has joined the American Made Banjo Co. as an endorser of the Dannick Tone Ring. Satoshi installed his Dannick Tone Ring in his 1933 Gibson Style 3. 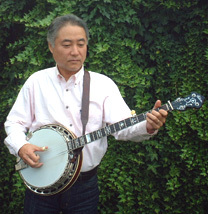 Satoshi Yoshida is one of the most influential figures in the Japanese banjo community. He has been devoted to the banjo and to bluegrass music as a recording artist, player, teacher, songwriter, business man, and festival organizer. His reputation is based on his performance, activities, personality as well as his knowledge and experience on the banjo and banjo setup. He was born in 1960 in Shiga Prefecture. He bought his first guitar at about ten years old, and started playing the banjo in 1974 after listening to "Foggy Mountain Breakdown." In 1976, Satoshi and his brother Shinji started a duo called Yoshida Brothers. Since then he has been playing not only with friends but also with veterans and professionals like Kazuhiro Inaba, Masuo Sasabe, Katz Miyazaki, etc. His playing style is strongly influenced by Earl Scruggs and J.D. Crow, and his tone, timing, and creativity always fascinate the audience. Satoshi visited the U.S. in 1981 to learn about the music and American culture. In 1984 he started a music instrument business in his home town in Shiga. His shop, Kurama Music Instruments deals in new and used instruments, vintage instruments, accessories and parts. He is the organizer of the annual Shiga Bluegrass Festival, which started in September of 1997. In 1998, his band won the third prize at the band contest held at Darrel Atkins Bluegrass Classic festival. Since 1999, he has been playing with the Japanese Bluegrass Band, performing at the Oklahoma International Bluegrass Festival and several IBMA showcases, and releasing four CDs including Blue Moon in Your Eyes. The sound files below were recorded by Satoshi playing his Gibson Style 3 with a Dannick Tone Ring installed. 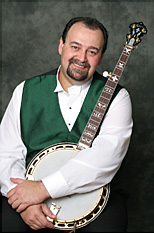 Born in 1966, Steve Myers began playing the banjo in 1976 after being introduced to "bluegrass music" by a cousin. His first banjo was a gift from his grandmother, a Sears and Roebuck "special" that cost $100.00 with the case." Steve joined Emery Ledford & Gunpowder Bluegrass in 1983, and was with Emery for 5 years. He then joined a group called Special Blend with Mike O'Farrell and Dave Lewis. After taking 4 years off to pursue a career in entertainment, in 1995 he returned to bluegrass and joined a group out of Washington called The County Council Band, a band made up of all congressmen who played bluegrass music. 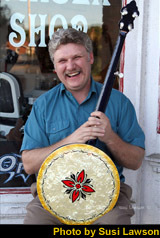 In 2001, Steve became a banjo teacher/instructor and full time musician. "I love teaching. I love meeting people and sharing my knowledge. I'm there to make people "musicians" or "better musicians. I can't think of any instrument that has such a great and colorful history as the 5 string banjo. It's hard to play a sad song on the 5 string banjo. The sound of the strings picked against a tight head makes people smile. And besides, banjo players, for me, are fun to watch!" Visit his website at www.banjodemon.com. The sound files below were recorded by Steve playing his Gibson, Granada custom Mastertone banjo with an American Made Banjo Co. Dannick Gold No Hole Tone Ring. "Over the past three years I've been through many different types of tone rings but once I found the Dannick my search was over. This tone ring produces the sound that I want. In this particular banjo it sounds more like the origional prewar 30's Gibson tone rings than anything else I've played!" Jason Bragg was born in 1976 in a small town in central West Virginia, where he grew up in a strict family strong in their traditional ways. Although no one in his immediate family played music, Jason grew up in an area overflowing with bluegrass and folk music. He loved bluegrass music from an early age, but never tried to learn to play an instrument until February 2005, when he purchased his first banjo. Jason's influences include Kenny Ingram, J.D. Crowe, Olan Selman, Bill Evans, Sonny Osborne, Earl Scruggs, Rob McCurry, Dave Sweet, Rad Lewis and Everett Lilly. 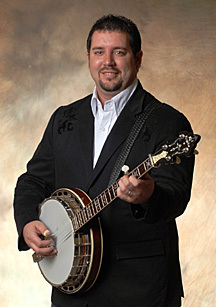 As of November 2006, Jason plays with Laurel Creek Bluegrass Band. The banjo that Jason plays is a 1937 Gibson Style-11 with a Robin Smith neck and the American Made Banjo Co. Dannick Tone Ring. The YouTube videos recorded below were performed using Jason's AMB banjo.